Fabulous divas sang to their best, giving a flawless performance. 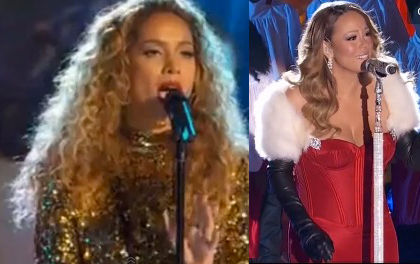 Leona Lewis did not give way to her long admired idol Mariah Carey and showed off the rare gift--her very much Mariah-like voice. No to say that it is a reflection: Leona is captivatingly original and her interpretations of old classics on her new Christmas album like "White Christmas" or "Oh Holy Night" are as fresh as new.